Over Christmas, I was lucky enough to receive a couple of varieties of seasonal chocolates from Lindt - both the Lindt Chocolate Snowdrops and a bar of Lindt Intense Orange. The snowdrops were individually wrapped, which is good if you want to give a few out if you have people visiting, but a bit fiddly if you're munching on a few in front of a film. 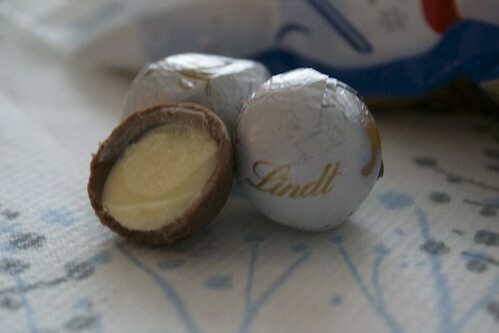 I really loved the milky, creamy centre and the difference in texture between this and the chocolate as you bite into it. The children ended up with a few in each of their stockings and they loved them too. The orange intense bar was really one for the grown ups. The chocolate was dark, slightly (but not too) bitter and had quite a strong citrus flavour as you bite into it. There were crunchy pieces too - a quick check of the ingredients confirmed that as well as orange pieces, there were also almond pieces in there. We enjoyed the chocolate, arguing over who had nibbled through the most, watching A Christmas Carol on the telly. 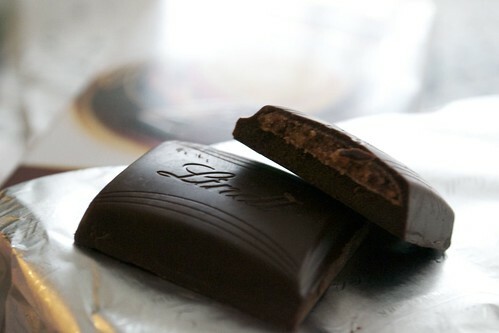 For more info check out The Lindt Chocolate shop online. What seasonal Christmas chocolates do you enjoy and look forward to each year?